It's summertime, and that means another beach session coming at ya! 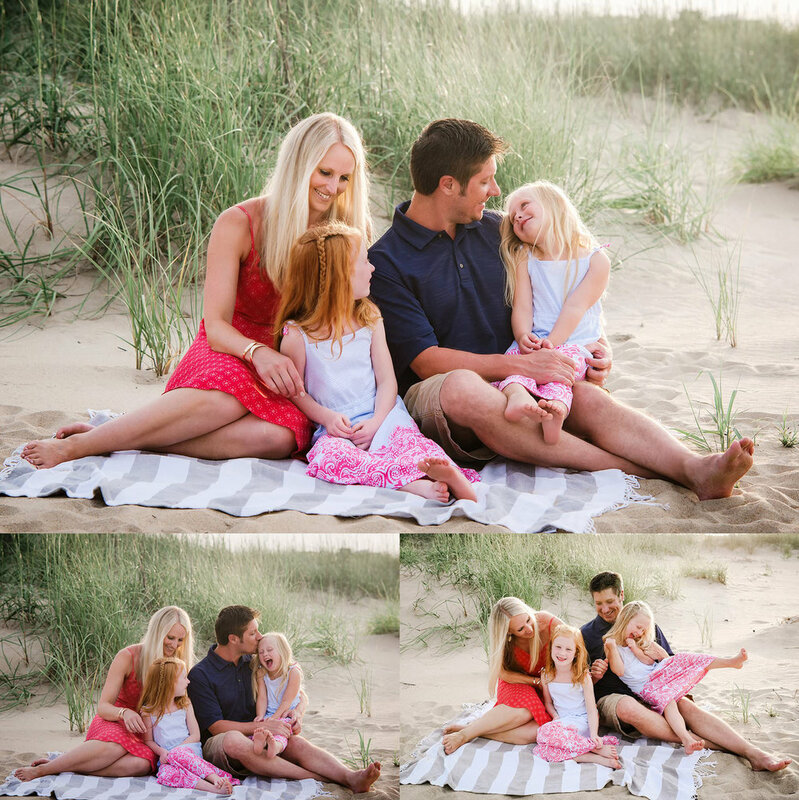 I had the best time with this gorgeous family who came to visit all the way from Missouri for our sunset beach session. And what a fabulous evening it was! The beach was all aglow with that gorgeous hazy light I love so much. Swoon. 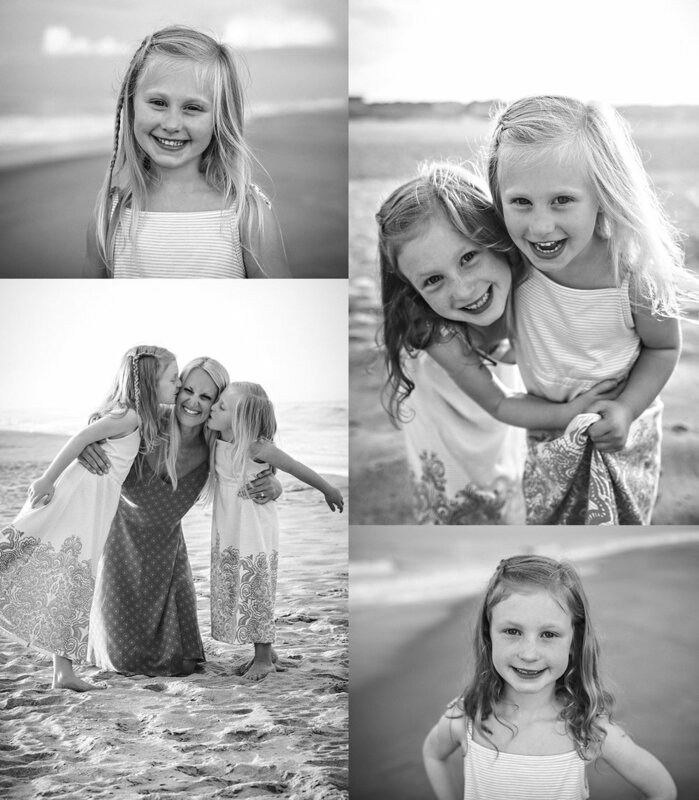 These girlies were ready for some free-spirited seaside shenanigans, so we wasted no time getting mom and dad on board. These two adorable faces are pretty hard to resist, don't you think? We danced and splashed along the shore until the sun set over the dunes. And then Mother Nature gave us the perfect dramatic backdrop for some stunning silhouettes. What a perfect way to end a fun-filled summer day! 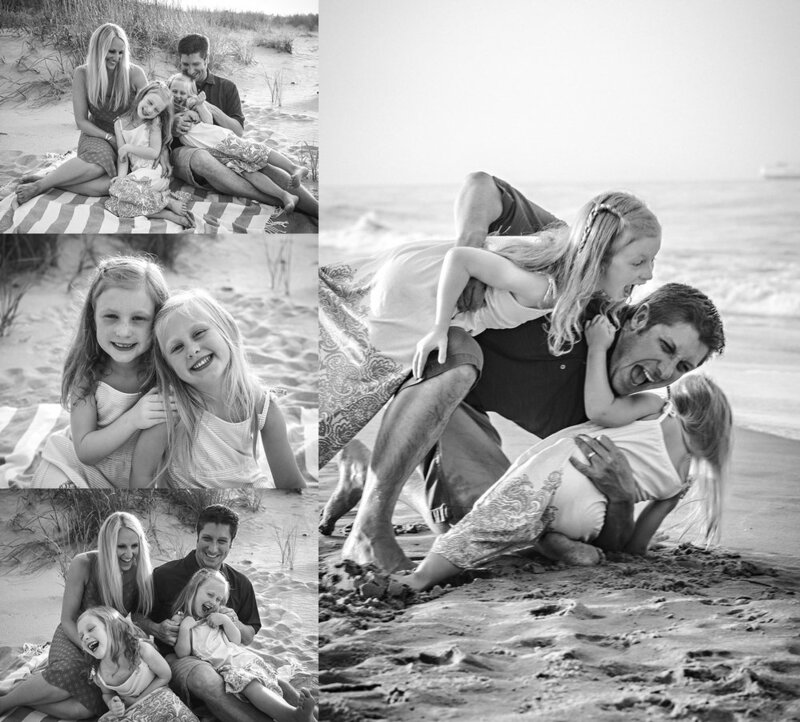 Contact Melissa Bliss Photography to schedule your lifestyle photo session today! 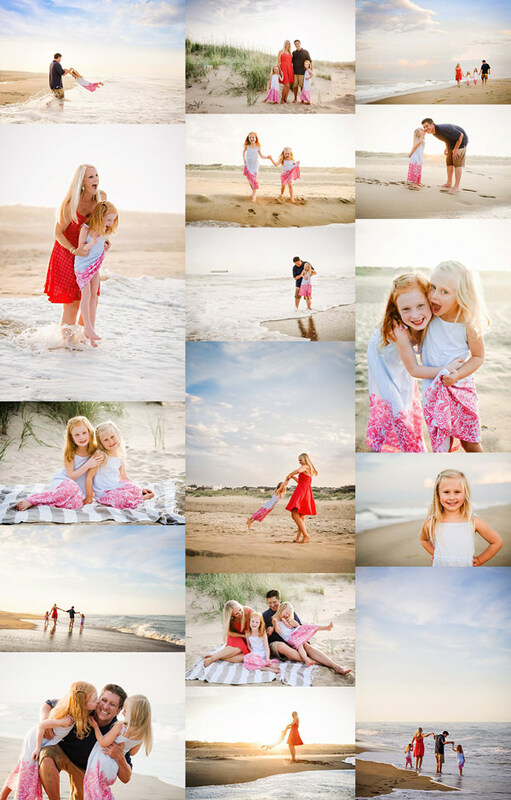 I've been shooting family beach sessions for almost 7 years now. From May through September my toes are in the sand, and my calendar is filled with family lifestyle beach sessions, engagement sessions on the beach, and beach weddings. I've shot on the beach on hot muggy days (119 degree beach wedding anyone? ), wild, windy days, and even frigid winter days. I've shot solo portraits, extended family groups, large wedding parties and everything in between. Over the years, I've learned quite a bit about how to make the most of every situation. 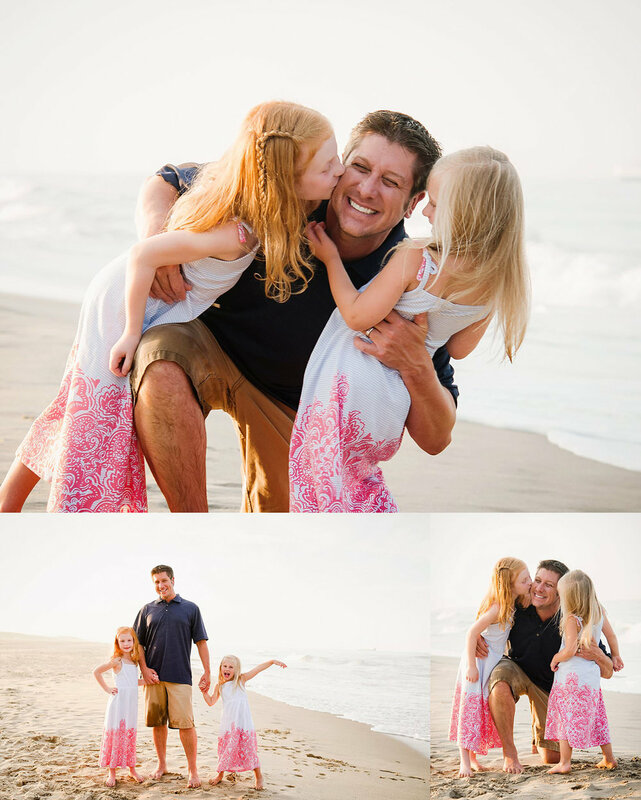 Today, I'm sharing my top tips for how to get the best ever family beach photos. 1. When to book: Book as early as possible to ensure an appointment with an experienced photographer. Beach light and the elements can be tricky! Select a date early in the week if you're visiting from out of town. 2. Selecting a photographer: Choose a licensed & insured pro whose work you love. Check out their website and social media to get a feel for their style. Make sure it's in line with your vision. 3. Lifestyle sessions are gold: Especially for families with young ones! Your photographer will guide you into loose poses and help bring out your best as you interact. Kiddos are free to have fun. Mom and dad are free from begging, scolding and stressing. 4. Timing: Your photographer will most likely recommend shooting at sunset to take advantage of the most flattering light. If you have little ones, plan to adjust their nap times for a day or two prior, or schedule your beach session for late in the season when the sun sets earlier. 5. Wardrobe: Select colors that compliment your surroundings i.e. blues, greens, beiges, creams, peach and golden tones. Choose two complimentary colors with a neutral mixed throughout the group. Relaxed flowy styles rule. And bare feet look best! 6. Prepare ahead of time: No really, waaaaay ahead. Getting a family ready is like herding cats. Plan your wardrobe weeks in advance. Back up options are key for young kiddos. Start early and avoid the frantic last minute dash. 7. Prepare the dudes: Most men would rather avoid photo shoots, or take one or two quick pics and call it good. Ease them on board. Share images from your photographer so they know what to expect. Discuss your game plan & goals for the shoot. Let them know how much it means to you! 8. What to bring: Your best attitude. So. Important. Even if last minute prep has you frazzled, when the time comes, let it go. Take a deep breath, find your sense of humor and remember why you are doing this - for great family memories! 9. What else to bring: Pack a comb, towel, wipes, a small snack and water for kiddos too. 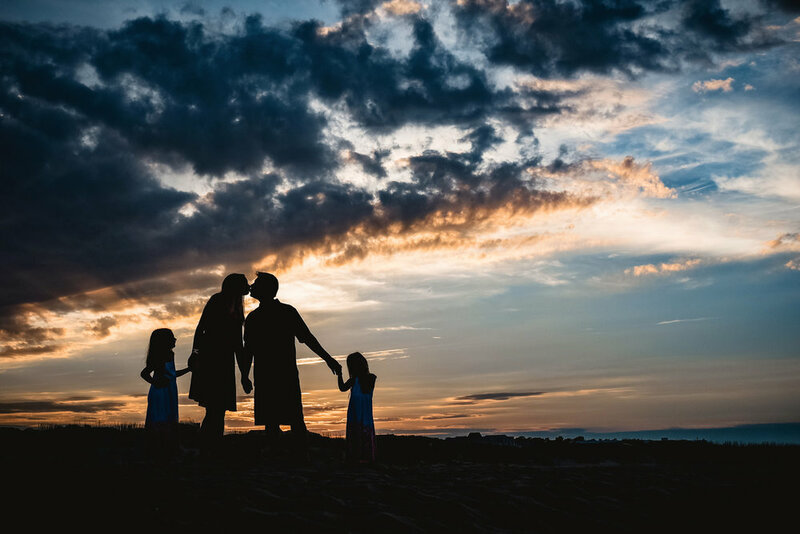 Incorporating a favorite family activity can be a great way to keep everyone focused on having fun with each other, and not on being in front of the camera. Ask your photographer for recommendations. 10. Trust your photographer: You've booked a pro, prepped and primped, and let go of the small stuff. Now have fun! Trust your photographer to make the best of whatever the time brings. Beauty radiates from joy, so focus on your loves and get playful! Bonus tip: Don't be afraid to get a little wind blown or wet. Focus on making memories! Your kids will pick up on your vibe. If you keep it light and playful, they'll follow your cue. 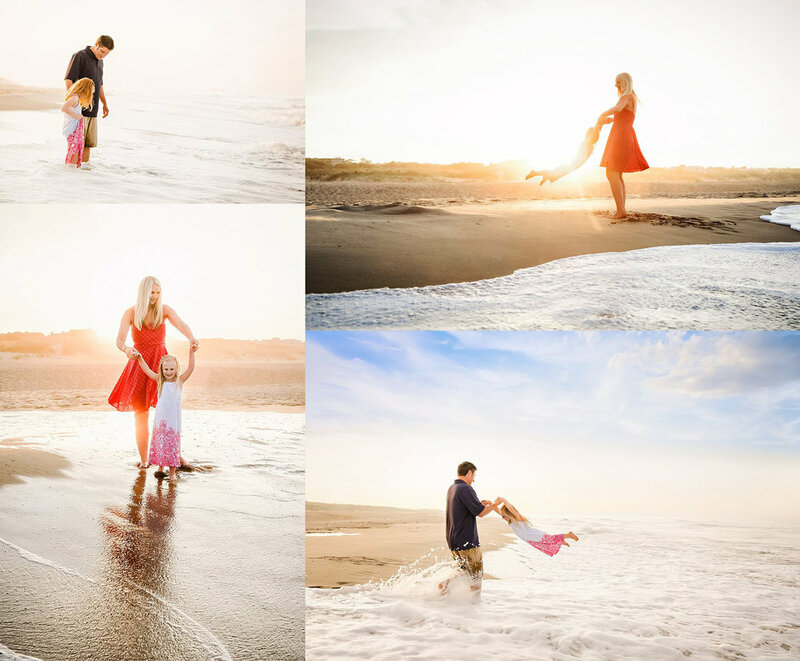 Nothing brings big smiles like dancing on the sand, jumping in the waves, or swinging through the air in the arms of mom or dad. The best images I've ever taken were with clients who weren't afraid to let loose and live a little. 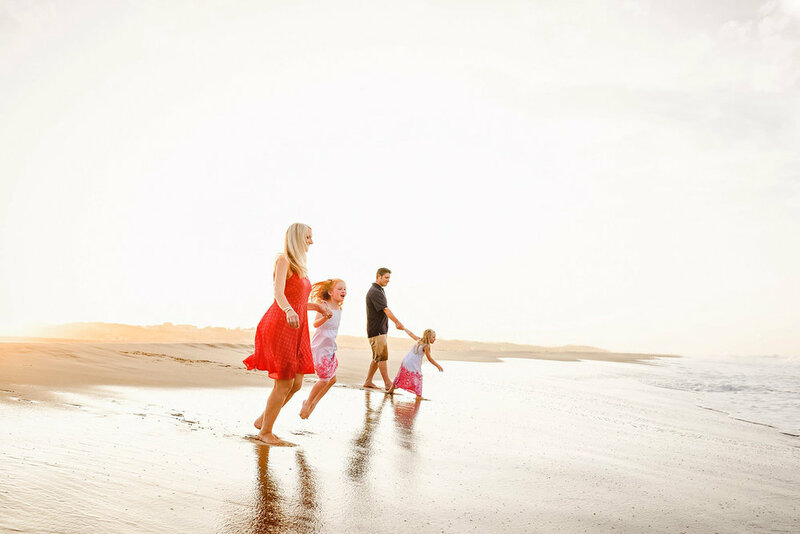 Getting wet and sandy is a temporary state, but the memory of those happy family moments on your sunset beach adventure will last a lifetime. Trust me.